Step backwards in time to World War Two and the time when RAF Elvington was a live bomber station. An atmospheric weekend as the Museum comes to life, with aircrew re-enactors in authentic period flying kit, aircrew mechanics hard at work on aircraft and our authentic military vehicles all moving around the Museum. 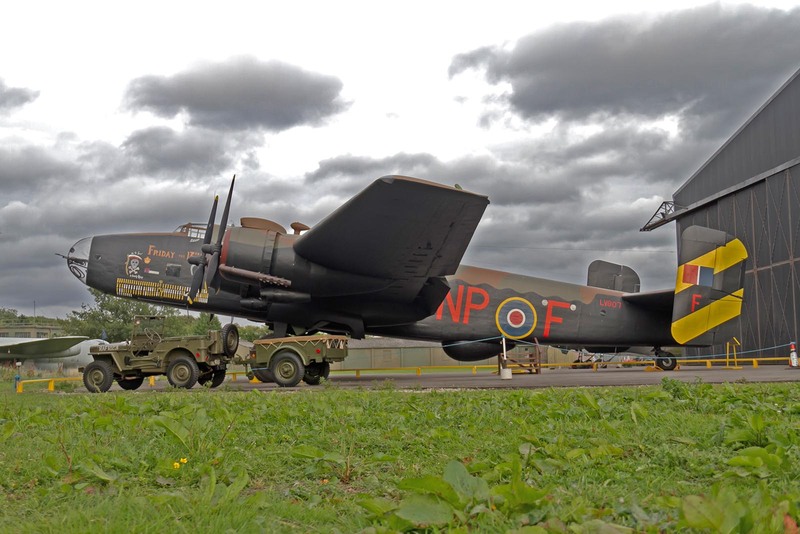 Our aircrew re enactors alongside our Halifax, Mosquito and Dakota aircraft will provide a great atmosphere for this weekend. Halifax, Mosquito and Dakota outside. All of our WW2 aircraft will be outside for the weekend. This is a rare chance to see the magnificent Halifax Friday the 13th in the open air. Don’t forget, the Against The Odds Bomber Command Exhibition will be open throughout the weekend, a great opportunity to learn more about the bravey and sacrifice of the Allied aircrews that flew of Elvington and other UK aierodromes. We are really looking forward to this exciting event. Visitors who may wish to dress up themselves are very welcome, wether in period uniform or retro civilian costume from the World War Two era. Uniforms are very welcome, restricted to Allied uniforms and costume. Please note: Against The Odds admission are £12 Adult, £10 Concession, £5 Child & £30 Family (2 Adults & 3 Children).